THE CLIFF HOUSE by RaeAnne Thayne has everything fans will love, with enough surprises to give you more than one book boyfriend to sigh over. Daisy Davenport McClure and her sister Bea’s childhood had a positive outcome because of their Aunt Stella. She took them in when their mother died of a drug overdose. The trauma before and after their mother’s death affected their entire lives, even though Stella’s love softened the memories. When Bea’s famous rocker ex-husband is attacked by a crazy fan, he descends upon Cape Sanctuary with his entourage, much to Bea’s annoyance. Oh, she’d love for Cruz to spend time with their daughter, Marisol, but can she avoid him for the month or more he plans to stay? And what about her best friend, Shane, who’s living in her guest house? Is he really just a friend? Daisy is also overwhelmed since Cruz brought the man who saved his life to Cape Sanctuary with him. Apparently, the gorgeous man who tried to talk to her in the toothpaste aisle at the grocery needs to heal his injury. Gorgeous men don’t try to talk to plain Daisy, ever. Now he’s everywhere she looks, and he seems to know her like no one else can, or should. Will his questions make her run and hide, or will she finally confide in him? Stella Davenport receives the best 40th birthday present, ever, and she plans to keep this news secret for a while longer – not everyone will be as excited as she is about it. They’d be happy for her, of course, but this news will cause a few ripples among those who love her and will think her insane. 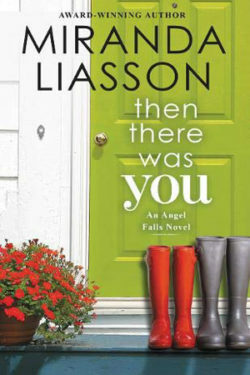 And then there’s that college boyfriend she hasn’t seen for twenty years that shows up on her doorstep. 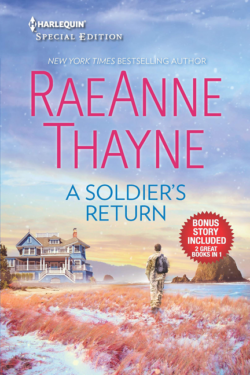 I’ve been a longtime fan of RaeAnne Thayne’s romances, but she surprised me with this book. The style is different. I wasn’t sure I’d like so many point-of-views, but it became addictive. There were a few repetitive moments but not enough to bump me out of the story. I imagine trying to keep repetitiveness down to a minimum is the hardest thing to do as a writer when creating a story with so many characters. 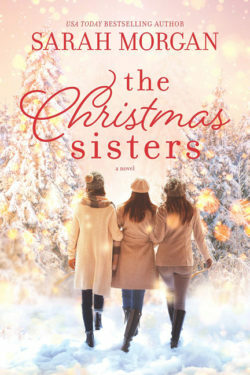 Even though you could consider this a small-town romance, the influx of famous people all in one novel made it glitzy and a bit eccentric and a lot different from Thayne’s previous novels. There’s a rock star and his entourage, several artists, including a documentary filmmaker and photographer, as well as one artist whose real identity is secret, plus a lot of foster children that Stella cared for over the years, and several adorable animals and children to tug at your heart. A bevy of interesting, fun, heart-wrenching, and heartwarming moments await you in one delicious novel. Those who know me well and love me anyway know that I cannot resist books with artists in them. Add in a photographer and a rock star, and I can’t believe my luck. This novel had many of my favorite themes, including a lost dog who melted my heart. Needless to say, I enjoyed this story very much. The characters were entertaining, and there were multiple black moments to worry over before the happily-ever-afters. Yes – you read that right, there are several love stories to fret over. I noticed some inconsistencies that could be trimmed up, but I was reading an early advanced copy, so those probably have been fine-tuned before publication. I know this going in when I read an ARC, so even though they may make me bump a bit when I come across them, I don’t lower my rating for things that could easily be remedied when published. I only mention them now as they were the only things that slowed my reading. That’s rare for me. That means this novel style worked for me and kept me interested. This is the type of book that gets better the more pages you turn. The beginning is entertaining, but with multiple characters it took a bit to keep it all straight in my head. Once I got over that hurdle, I read faster and faster the further I got. I became invested in their lives and hopeful for their future. Of course, each character has something to overcome to get to their happily-ever-after, and I wasn’t always sure they’d figure it out. That left me unsure enough to wonder if they’d get their act together in time for a happy ending, or whether we’d be left hanging for a sequel. I’m happy to say that the end was wonderful and more than I expected. That doesn’t mean it was easy getting there and that everyone behaved in a way I expected. What would be the fun in that? 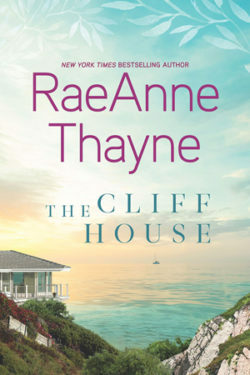 RaeAnne Thayne has surpassed her previous success by creating a novel that readers will gobble right up. It’s fun. It’s angsty. And it’s unexpected. Just what the romance doctor ordered. Fans will love it.